Saving rock faces of special geological importance from destruction (eg Pouk Hill, Walsall in the early days of the society through the actions of Peter Oliver et al). Bringing to the attention of the geological community the plight of the Dudley Collection (Alan Cutler) and subsequent salvage and conservation work on it (Peter Parkes, Graham Hickman). For the first time formalising and extending the geological records details using GCG forms. 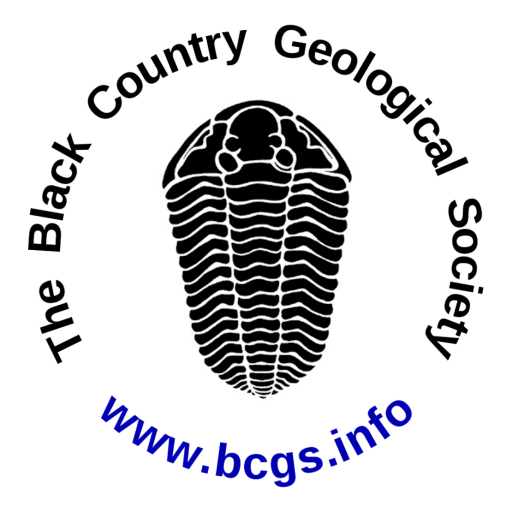 In so doing, providing a first database for the Geological Records Centre at Dudley Museum (Nigel Bradley). Holding a geological curator’s Group meeting in 1985 which lead to the permanent appointment of Colin Reid, at Dudley Museum and allowed geology to flourish in the area (Alan Cutler et al). The BCGS were the only voluntary body of a total of seven schemes that were carrying out conservation activities pre 1990. We were used as a model for the Rigs Scheme which was launched in 1990 and have continued to influence national policy relating to earth heritage conservation (Alan Cutler). Continually lobbying Black Country Authorities until they accepted geological sites into the planning system for wildlife (the so-called SINC’s system) and subsequently reviewing and extending these site details and listings as the Unitary Development Plans undergo review (Alan Cutler). Continually recording and collecting from new sites and established sites and developing geological trails such as the Hay Head Trail at Walsall (Alf Cole, Peter Smith, Hilary Giltrap, etc). Making Rock and Fossil Fairs possible (Colin Reid, Paul and Judith Shilston etc). World Heritage proposals (Colin Reid etc). There are many individual conservation projects that are equally worthy of mention and undoubtedly many individuals whom I have failed to mention for which I apologise. All deserve our admiration for the record that I am able to relate above. Graham Worton, September 2002. 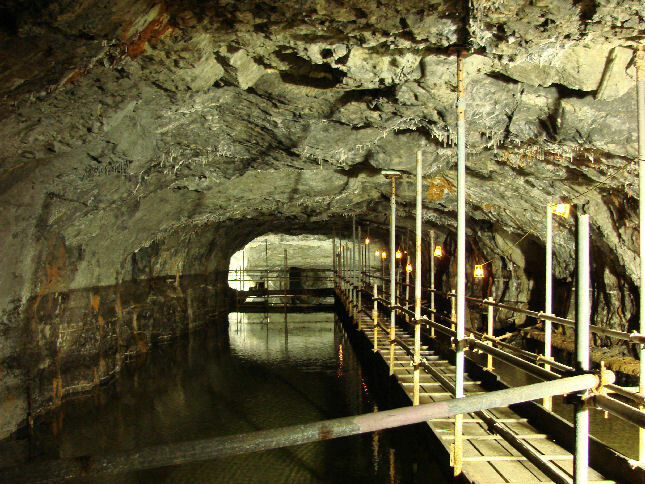 This mine and the adjacent vast underground canal basin contain some of the world’s most important geology and mining heritage. The project was designed to ensure the future potential of the underground features is retained for future generations. This would also safeguard future access for geotourism, science and conservation. High resolution moulding and casting programme of rock surfaces within the mine prior to sand infill. The infilling programme was completed by August 2009. Images and samples from the project are now being analysed in the new lab facilities at Dudley Museum, and already many new discoveries are coming to light. 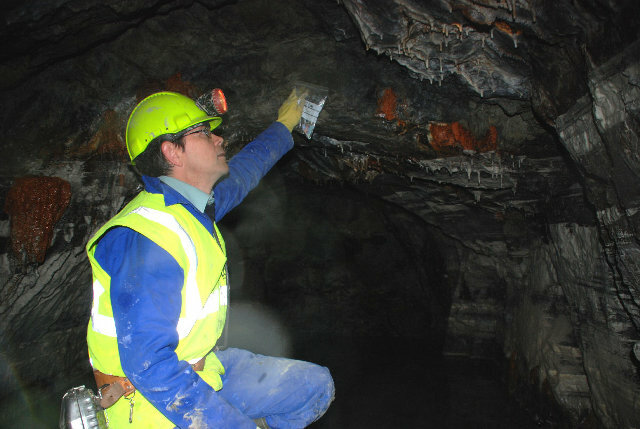 An example of this is the programme of lab work, focussing on the ancient volcanic ash layers which occur occasionally within the limestone layers of the mine. A dozen or so samples have been washed and sieved to extract microscopic fossils and mineral grains. 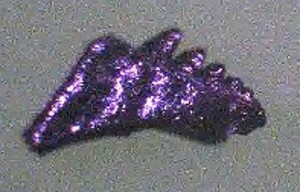 The fragments range in size from 2mm to 63µm (63 thousandths of a millimetre). These are being painstakingly picked through by the museum’s Geoteam. They are revealing a host of planktonic and mud-dwelling life-forms that occupied those ancient seas, and include the 425 Ma scolecodont (worm jaw) illustrated below. At regular intervals in 2010 the museum lab will be open while the Geoteam and associated scientists are actually carrying out the research work for the public to see and have their chance to ask the scientists about this work. For further details please contact The Keeper of Geology, Dudley Museum and Art Gallery, The Archives and Local History Centre, Tipton Road, Dudley DY1 4SQ. Telephone 01384 812770. 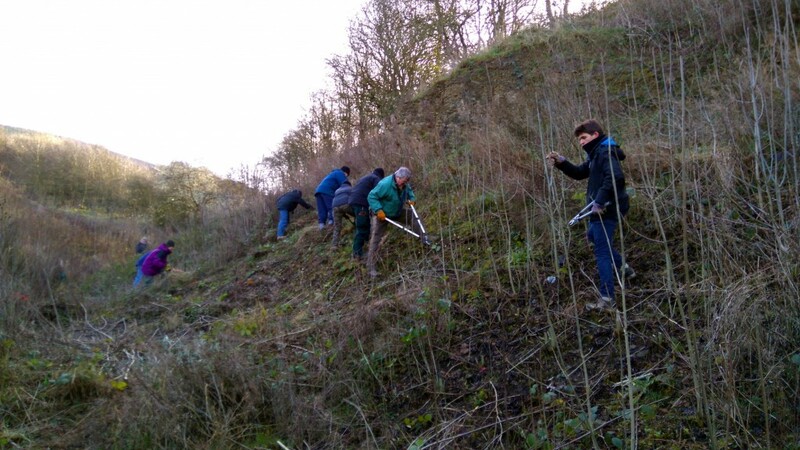 In recent years the BCGS has convened working parties to help clear unwanted vegetation from some of our local geology sites. Reports from these may be found in the Geoconservation posts.